With the outdoor festival season well underway (EDC just wrapped up! ), this week b.Blunt sits down with Fexlix & Ambrosia, a music festival inspired, uniquely millennial brand with British roots that offer an affordable line of eco-friendly CBD wellness products for any concert goer who wants to elevate their experience. How did you come up with the idea for your brand Felix & Ambrosia and being in the music niche? How did you become festival fairies? My late grandmother was English by way of Canada and music was a big part of my visits with her, so creating a British inspired brand that represented the luck I feel when I consume THC and CBD wellness products just made sense. Felix means “lucky” and Ambrosia means “food of the Gods”, so it was the perfect brand name to represent the luck we create for ourselves when we consume these holistic miracle workers. There is a magical energy you feel when you are surrounded by good people who share a love of good music. I’ve been a festival fairy since before it was cool, so combining my love of the festival scene with quality products that I’d use to improve my festival experience just came naturally. What type of products do you sell and what is most popular? 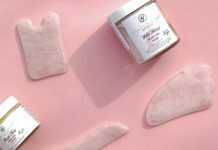 Felix & Ambrosia offers a full line of festival products, from our best-selling Sunny Daze Sun Cream to our magical Unicorn Drops to add wellness, flavor, and sparkle to your hydration experience. Sunny Daze Sun Cream is a high quality 30 SPF sun cream with a biodegradable plant based glitter and nano emulsified CBD. CBD helps to keep your skin moist, battles inflammation, and helps you to feel the good vibes that music festivals require. At night when the sun goes down, you’re going to want our Burn Out CBD infused aloe blend to cool and moisturize your skin. Bugger Off hand sanitizer infused with CBD will keep the germs away, while Unicorn Drops help you to consume your CBD while staying hydrated. Water is good, but sparkly, CBD water with just a touch of flavor is even better! How would you describe your brand and services to someone who’s new to cannabis? Cannabis plant medicine offers powerful holistic healing and it’s important for new consumers to understand how to properly incorporate CBD and THC wellness products into their lifestyle. Felix & Ambrosia offers CBD products delivered directly to your door because CBD has no toxicity that would leave you feeling “high” like THC. Our THC versions of our products are only sold in licensed dispensaries through our licensed partners. The wellness benefits of CBD for festival fairies are numerous. CBD is a natural antioxidant and antimicrobial, which will help you to stay healthy during those weekend long festivals. How long have you been in the cannabis game? In your opinion what is the biggest challenge in the cannabis industry right now, specifically for women? What motivates you to keep going? I started working exclusively in the cannabis industry over three years ago and the greatest challenge for female leaders in our industry is finding the right partners who share our values. The right partner can change your life, but the wrong partner can set you back years. Starting with our core values of a heart for service, entrepreneurial problem solving, diversity, and positive problem solving helps us to make sure that we select the right partners who can work with us through the ever evolving landscape of cannabis. The cannabis plant is female, so the amazing positive energy I receive being surrounded by lovers of plant medicine fuels me to keep going. One of my first clients when I opened my company was Snoop Dogg’s MERRY JANE and their media organization continues to be a leader among leaders for how cannabis media channels should be built. I spent the first 30 years of my life as an avid prohibitionist who had never even tried cannabis, but when I was in a car accident just after my 30th birthday, a friend gave me a joint and asked me to try it. It was the catalyst for a dramatic shift in my world, which resulted in me dedicating my life to sharing the power of plant medicine with anyone who would listen. I am a medical consumer for chronic pain as a result from that accident and there isn’t a product that we make that doesn’t have wellness benefits. I don’t want to get you high. I want to get you well. I want you to sing and dance with wild abandon to music that feeds your soul, without worrying about your sore knees or aching back. Felix & Ambrosia is located in fabulous Las Vegas, Nevada just one exit away from where EDC is held each year. Our cannabis community is incredible! The most recent research I have seen says that 38% of cannabis industry leaders are women, but my experience has been that we are equally represented in Nevada. Diversity isn’t something we give lip service to in Nevada. It’s a verb that we live. Our entire team won for “Best Float” at the Las Vegas Pride Parade and even our legal team joined us in full unicorn regalia to celebrate acceptance. It’s tempting to try to win over prohibitionists with facts or common sense because it seems so obvious to those of us who have experienced cannabis first hand. However, my favorite story is my own testimony. It’s hard for prohibitionists to argue when they hear that 150 Americans die every day from opioid addiction- more than automobile accidents. I don’t think THC is for everyone, but CBD is something I recommend for every adult over 40. 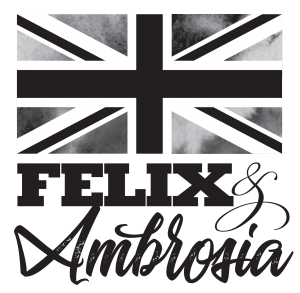 Where can you buy your Felix & Ambrosia products? You can purchase our products online at www.felixandambrosia.com! We currently ship to the United States, Canada and Australia. Previous articleWeekly Trim by Kameran: Sun. Surf. Serenity.